CPR Training, AED Sales in Sheboygan, Fond du Lac, Oshkosh, Appleton, Manitowoc, Stevens Point. AED Programs for Church, School, Fire & Police. Cardiac Science Distributor. Affordable CPR-AED Solutions for Business & Government. Public Access Defibrillation. Automatic external defibrillators (AED’s) are lightweight, portable devices that provide an electrical shock capable of restoring the normal heart rhythm of cardiac arrest victims. Immediate, on-site access to this device for people who suffer a cardiac arrest has been found to greatly improve their chance of survival. Wisconsin Statutes allows for the purchase, maintenance and use of AED’s in the public setting. Such places may include, but are not limited to, long-term care facilities, rural health or dental clinics, athletic facilities, schools, factories, churches, day care centers and other community facilities. Wisconsin Statute 895.48 (4) (ag) provides for civil immunity for certain persons who use, own and/or provide access to automatic external defibrillators. A layperson, (other than a trained provider such as an emergency medical technician or first responder) can use a public access defibrillator to provide emergency care to an individual who appears to be in cardiac arrest, without fear of liability. CPR & AED Training. Training courses in cardiopulmonary resuscitation (CPR) and use of automatic external defibrillators (AED’s) are strongly recommended for the general public. These courses are available in most communities and are offered by groups such as the American Heart Association and the American Red Cross, as well as various commercial agencies such as Responder Services LLC. 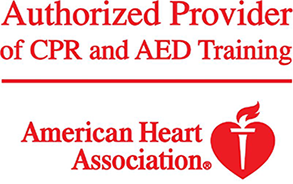 2007 Wisconsin Act 104 (Senate Bill 142) requires many occupations within Wisconsin to successfully complete cardiopulmonary resuscitation (CPR) training, and to demonstrate current proficiency in the use of an automatic external defibrillator (AED). This requirement applies to employees of day care centers, shelter care facilities, residential care facilities, medical transport drivers, fitness centers, lifeguards and many others.